Whether you’re planning a bachelor party, gathering your girlfriends for a weekend getaway, or planning a meeting of your team’s top creative minds, McCarren Hotel and Pool has a setting to suit you perfectly. Accommodations for groups of up to 150 are available. 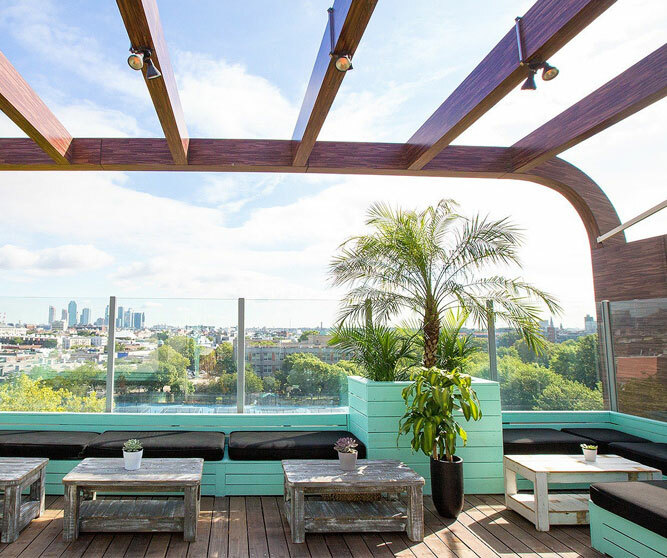 Ideal for gatherings of up to 150 guests, the McCarren Rooftop Bar offers spectacular views of McCarren Park and the NYC skyline from a versatile 2,250-square-foot open-air terrace with retractable roof.